Why do you need a credit check? Can I switch to service with Direct Energy if I am on a contract with another energy company? We recommend that you contact your current company to ask about your contract expiration date and to learn about cancellation policies for switching to another company. What is the cost to switch to Direct Energy? If I am switching providers, how long does it take to get Direct Energy electricity service in Texas? If I am moving to a new residence, how long does it take to get Direct Energy electricity service in Texas? 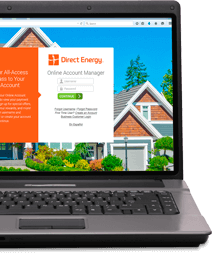 How can I become an authorized account user on a Direct Energy account? 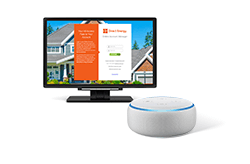 To become an authorized account user on a Direct Energy account, the current account holder must make this request by contacting our Customer Care center at 1-855-461-1926 and providing your name to be added to the account. 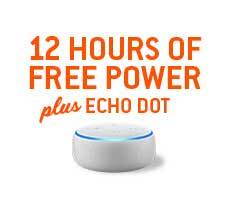 Are there any fees required to sign up with Direct Energy? There are no enrollment fees to choose us as your electricity and/or natural gas company. How do I sign up for a renewable energy plan in Texas? Currently, you can "Support Green" for $5 a month. Learn more here. I signed up for a plan, but I came to an Order Pending page. What does that mean? Does Direct Energy have a lower deposit amount for low-income customers? What are the criteria for assessing a deposit? Do you waive the deposit? How do I transfer my Direct Energy electricity service to my new home if I'm moving somewhere in Texas?